Season after season, youth sports administrators face the challenge of recruiting volunteers to coach. After all, seldom is there a season where every coaching spot is automatically filled, particularly because as children get older and advance in the program the parents who coach those teams typically move along with them as well, creating a revolving door of new openings – and new opportunities – for others to step forward and fill. So the burden falls squarely on your shoulders to find individuals to come on board – and not just anyone – but those who will genuinely have all the kids’ best interests at heart. If you are able to regularly replenish your volunteer coaching pool with quality individuals that share your passion for children and providing the best possible sports experiences for them, you will establish a strong foundation that will enable your program to grow and flourish in the community. ►PROVIDE TRAINING: One of the biggest reasons many moms and dads, as well as other community members, don’t volunteer to coach is the fear of being unqualified to handle the responsibilities. 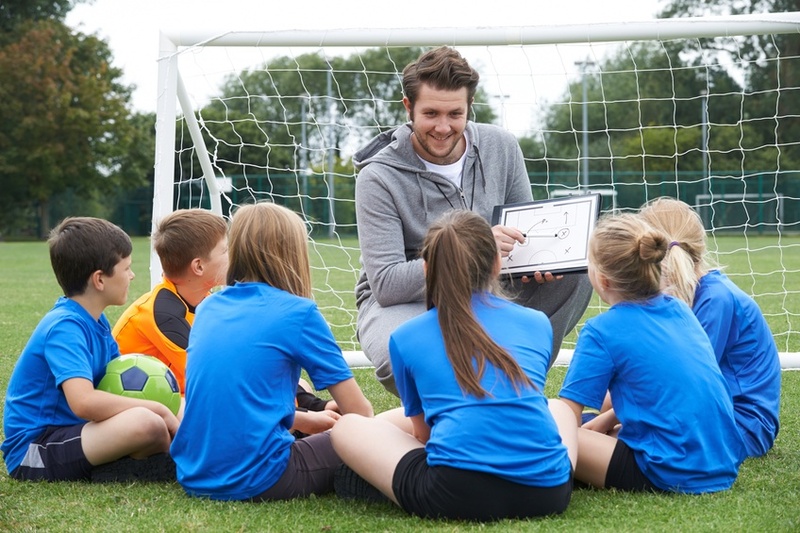 It’s truly unfortunate that there are so many individuals who would make wonderful coaches because of their caring nature and ability to connect with children, but the program is deprived of their involvement. Why? There are many reasons why individuals choose to remain in the background and allow others to assume these coaching roles. Some are reluctant to step forward because they may not be entirely familiar with all aspects of the sport; they may have little or no experience playing the sport and incorrectly believe that makes them unqualified to oversee a youth team; or they simply have never tried coaching before and believe that lack of experience makes them ill-suited to ever work with children in a sports environment. This is what makes this aspect of your job so immensely challenging, because no one wants to fail or embarrass him- or herself, especially in front of both kids and fellow adults in the community in which they live. Concerns about how best to teach fundamentals, organize a practice and manage a team on game day can be daunting, for sure. Providing a training program at your facility – or making one accessible to your coaches via online – can go a long way toward easing those fears and getting some truly great people involved who otherwise would simply remain in the shadows of the sidelines. For more information on the National Youth Sports Coaches Association (NYSCA), a program of the National Alliance for Youth Sports that is used in more than 3,000 cities nationwide and has assisted nearly 4 million volunteer coaches, visit www.nays.org. Its training programs are available both onsite and online, so busy individuals can complete the training from the comfort of home at their own pace. ►RECRUIT FEMALE COACHES: The majority of youth sports programs are dominated by male coaches, so there exists a vast pool of untapped coaching potential right in front of you with all the moms and other women that could fill some of your coaching positions. If you don’t make every effort to include women in your program you are doing a huge disservice to your program and depriving young athletes of opportunities to play for a variety of coaches. Some research suggests that women tend to self-select themselves out of certain activities when they don’t see women in those particular roles. If your program features predominantly male coaches, it’s probably going to be more challenging recruiting women to take over teams. One approach to gradually work more women into your programs is to encourage them to serve as assistant coaches. 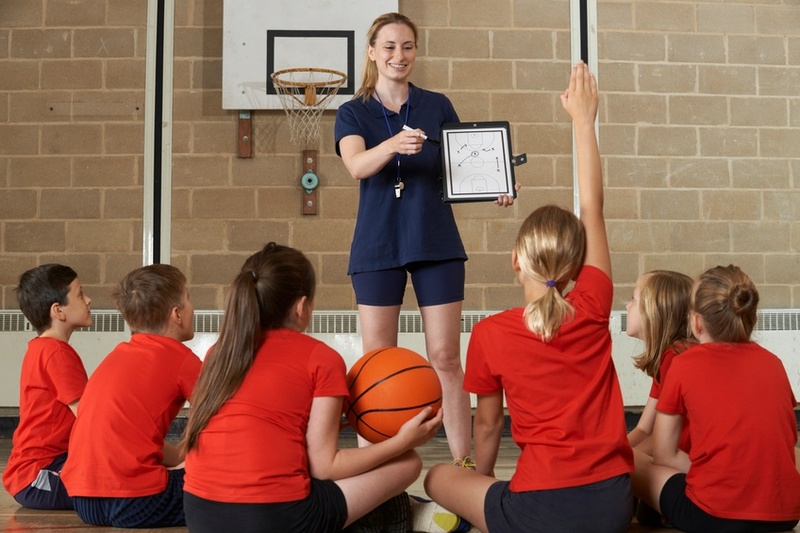 This provides great experience and can help make the transition to a head coaching position often a much smoother one as it allows them to get a good sense of what it is all about. Of course, this applies to men too, who may be reluctant to assume head coaching positions based on lack of knowledge or experience, but who can gain valuable insight and experience in assistant coaching roles before progressing to assume control of a team. ►CAPITALIZE ON LOCAL MEDIA OPPORTUNITIES: A news release announcing that your organization is seeking volunteer coaches for the upcoming season can be placed in community newspapers, often free of charge. Also, public service announcements through radio stations are a wonderful source to get the word out regarding your openings. Many communities also have local parenting magazines or similar publications that can be helpful in letting the community know about your organization’s needs. ►TAP INTO LOCAL UNIVERSITIES AND COMMUNITY COLLEGES: Reach out to local institutions of higher learning, particularly those that offer recreation, sports management and youth development curriculums. Students in those programs are always looking for job-related experience and opportunities to network. Even though in many cases they may not have children of their own, college students often are among the best candidates to work with young people and they can infuse your program with energy and enthusiasm that can be contagious with young athletes. ►MAKE SURE YOUR MESSAGE PACKS SOME PUNCH: When soliciting volunteers to coach teams your recruiting pitch, as well as your program, must have appeal. If it is unattractive, is poorly organized and run or has a less than stellar reputation in the community, why would anyone want to contribute their time and energy and be a part of it? Put some thought into what makes your program special and then ask yourself if you heard this pitch would you volunteer your time? Youth sports, when conducted the right way, are powerful tools in shaping young lives. So be sure you stress that you are developing young people and helping them build valuable life skills – and that you rely on the efforts of volunteers to make it all happen and you want them to be a big part of this special effort. Adults who love sports, children and physical activity can be difference makers in the lives of children. It’s up to you to help them fully realize that and ignite their passion to assist and be a special part of the program. ►UTILIZE YOUR CURRENT COACHES: Check with your current volunteer coaches for leads on others they may know that could make possible coaching candidates. Also, assistant coaches from teams in your program from previous seasons are natural sources to fill vacancies as some, based on their experience and previously demonstrated interest, will likely have a pretty good handle on what the role is all about. ►RETAINING VOLUNTEERS: One of the strongest factors regarding retaining volunteers is showing them how seriously the organization takes this responsibility. The fact that an organization takes the time to create quality volunteers means that these individuals are going to be a lot more serious about their job, as well as be better at it. Plus, coaches that feel good about what they are doing and have more confidence in their abilities and the positive impact they are having on young athletes are going to be more likely to coach again. Chances are they also will feel that they have made a personal investment and will have a stronger interest in continuing to use that knowledge to benefit more youngsters in the future. When you find individuals that “get it” when it comes to coaching kids and you see the impact they have on their team during the season in all different areas, those are the people you want to retain. After all, the more quality individuals you can bring into your program to work with children, and keep them around for many seasons, the stronger your program will be and the more benefits children will gain from playing for them and learning from them. One of the best ways to keep quality volunteers in your program – and while this may seem obvious it is surprisingly overlooked most of the time – is to thank them. That’s right, a simple thank you can go a long way toward establishing bonds with your coaches, make them feel truly appreciated for all the hard work they put into the season and increase the likelihood that they will be back on the sidelines next season because they feel appreciated and a real part of what the program stands for and is striving to accomplish. So many individuals give willingly of their time to coach a team and then when the final game of the season concludes everyone goes home and they never hear a word from the administrator again until coaches are needed next season. That is not how you want to treat your volunteers. They deserve respect and some form of acknowledgement for all of the hours they gave of their time to coach in your program. When individuals feel genuinely appreciated for their efforts they will be more likely to return than if they don’t receive any type of feedback from you. If your program is able to conduct an end-of-season Coach Appreciation Night, that is a great way to put an exclamation point on the year. During this type of event you could acknowledge their contributions and hand out gas or restaurant gift cards, or some other token of appreciation (which can often be donated by a sponsor). If you are unable to stage this type of event, at the very least you want to make sure that every volunteer coach in your program is thanked for their efforts. This can be done any number of ways. You (or staff members if the program is large) could personally visit the practice fields during the final week of the season to shake the coach’s hand and tell them how much you appreciate their efforts being involved this season. This can also be done after the final games of the season. Another option is to write thank you cards to each of the coaches. It’s a classy move and coaches will appreciate your effort to acknowledge their contributions. The National Alliance For Youth Sports (NAYS) is America’s leading advocate for positive and safe sports for children. It provides a wide range of training and resources for volunteer coaches, parents, officials and administrators. For more information visit www.nays.org and www.nays.org/sklive; email nays@nays.org; call (800) 729-2057.